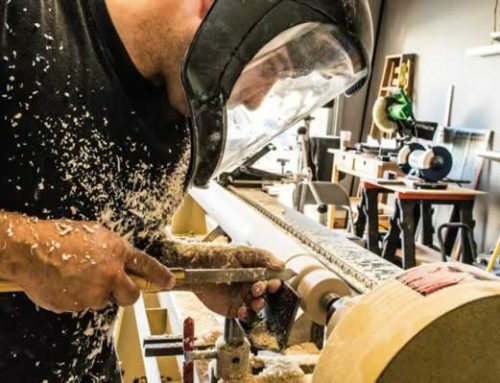 It doesn’t matter if you are a skilled woodworker, carpenter or just a DIY enthusiast, you will need to cut plywood or veneered wood quite often. To be able to cut plywood without tear out is not easy as you would think. Plywood, MDF and veneered wood have different structure than hardwood and they are very prone to splintering or tear out. It really doesn’t matter which cutting tool you are using because the problem isn’t in the cutting tool. 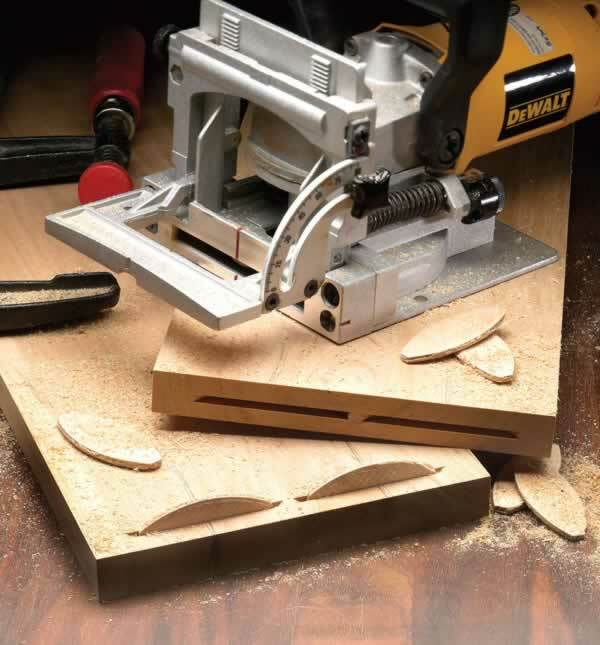 Every cutting tool needs to be used in specific way in order to cut plywood without tear out. In this article we will try to cover all most commonly used tools for cutting plywood and we will provide you with some tricks that you can use when cutting plywood. Most of DIY enthusiasts use jigsaw for cutting plywood because it’s a cheap and available tool. Even though skilled woodworkers think that jigsaw isn’t appropriate for cutting plywood, you can cut plywood without tear out with your regular cheap jigsaw also. First thing you need to do is to find an appropriate blade for cutting plywood. The blades that you get in the package with the jigsaw in most cases aren’t suitable for cutting plywood. If you don’t have a jigsaw blade for cutting plywood then we recommend using this 18 TPI Festool blade which has proved to be the best choice for cutting plywood. If you haven’t used jigsaw before and you want to learn then be sure to check out tutorial for using jigsaw. But even with the best available blade you will get a little tear out, but there are tricks to fix that. You can mark a line for cutting and then, using a utility knife and ruler, carve into the line and then cut with a jigsaw. Another trick is to tape the both sides of the cutting line with masking tape and then cut through the tape. By our experience using a proper blade with a masking tape provides perfect results. If you do a lot of woodworking projects, you probably own a table saw and you use it to cut plywood. 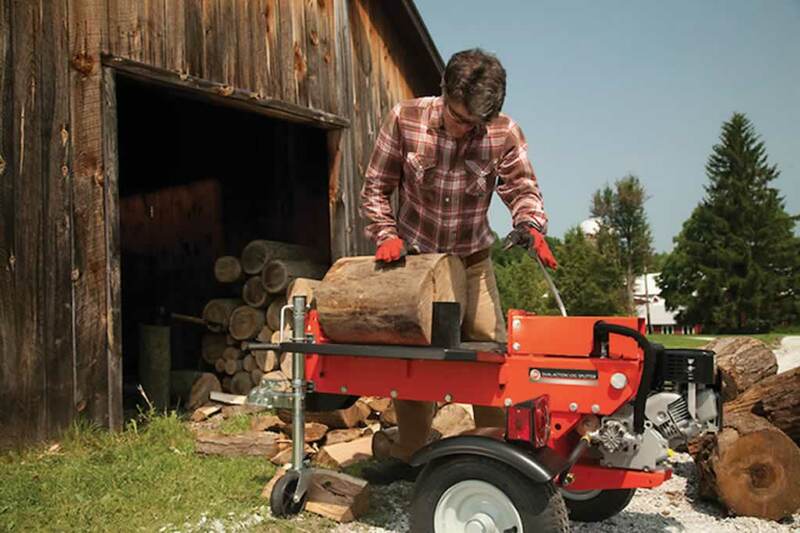 The most important thing is to choose a blade that is appropriate for cutting plywood. Choose a blade with 80 teeth and more to ensure minimum tear out. If you do a lot of plywood cutting then we recommend that you buy a blade specially designed for cutting plywood like this 180 teeth Irwin plywood blade. If you don’t have a plywood blade then we recommend that you use an alternating tooth blade (ATB) to ensure a clean cut. The next thing you must consider is cutter sharpness. It doesn’t matter which blade you’re using, you’ll never achieve a clean cut if you have dull blades. Also, ensure that your blades are completely clean of resin because resin have a big impact on performance and also on tear out. Another thing that will ensure a clean cut on your table saw is a zero clearance insert. Zero clearance inserts are a good safety device but they also help reduce chipping and tear out. 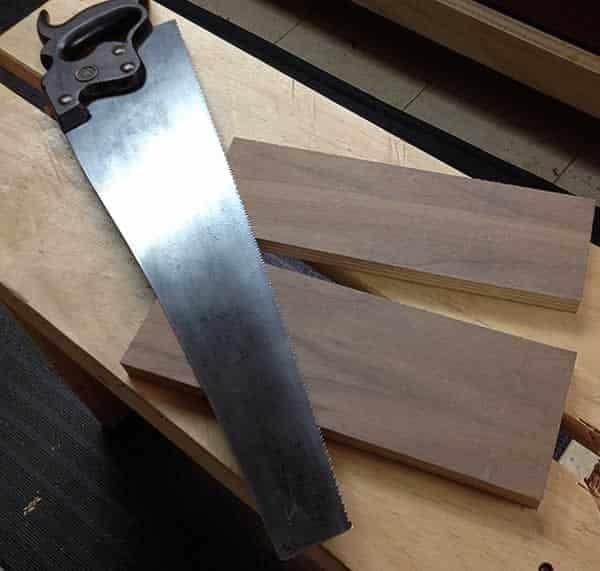 If we put the presentation side of the wood down the blade is moving downwards during the initial cut which wants to push the edges of the wood away from the edge. The zero clearance insert supports the wood fibers right at the cut edge and can reduce chipping and tear out dramatically. Zero clearance inserts are cheap but very helpful and they are made for every type of table saw. We don’t have to say that your table saw must be perfectly aligned when cutting plywood. There is no trick that can save your plywood sheet if your blade isn’t aligned. Some people even suggest raising your blade all the way up to avoid tear out. We strongly advise you against doing so because you are increasing a risk of kick back and making even more damage to the plywood and yourself. Exit wounds can also be a problem when cutting plywood on the table saw. This happens when the wood exits the cutter and it can sometimes look very ugly. The solution for this problem is very simple, just use a sacrificial backer. The backer is just another piece of wood held against the rear edge of the wood being cut. It supports the wood and makes the cutter think that it hasn’t exited the wood yet and it makes the exit wound on the far end of the sacrificial backer. If you want an easy solution then you can use the trick with the masking tape which will also work on your table saw as well. When cutting plywood with a circular saw you have to know a few things also. As with the table saw, the blade must be appropriate for cutting plywood. We recommend using at least 80 tooth blade and for best performance we recommend this 140 tooth DeWalt blade. When you cut plywood with a circular saw then you don’t have to worry about the bottom side of the plywood sheet because tear out only happens on the upper side. That is also the easiest way for a clean cut if the other side isn’t visible after assembly. 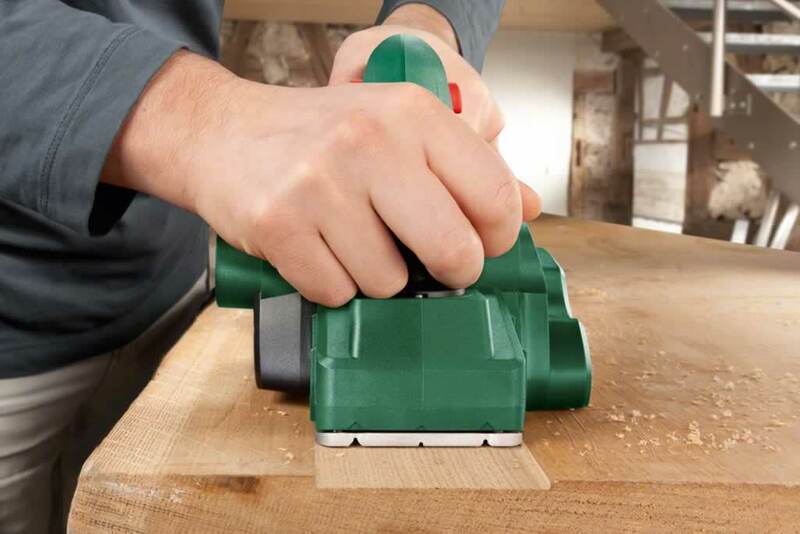 The easiest way for a clean cut with a circular saw is to score the cut line first. Simply make your cut in two passes instead of one. This shallow scoring pass (about 1/8 inches) cleanly shears the surface fibers rather than lifting them upward. The circular saw has the same problem with exit wounds like the table saw and the solution is the same. Use a sacrificial backer to avoid exit wounds. The trick with masking tape also works with circular saw but it’s maybe easier to make a scoring pass. 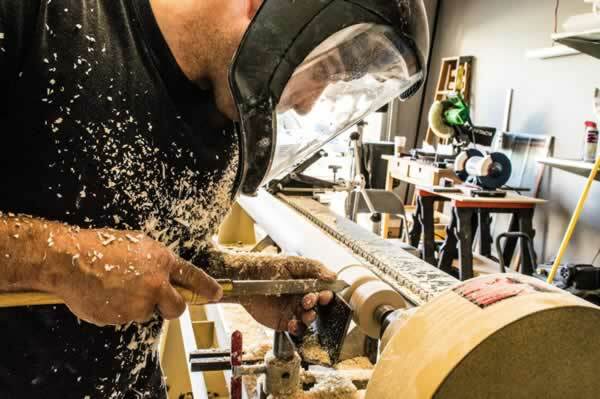 We also advise you that you make your own rails for cleaner and more aligned cuts. It’s much easier to make a clean cut with rails than with just your hand as a guide. It’s a myth that you can’t cut thin plywood or veneer with hand saw but the truth is that most of you didn’t even try. 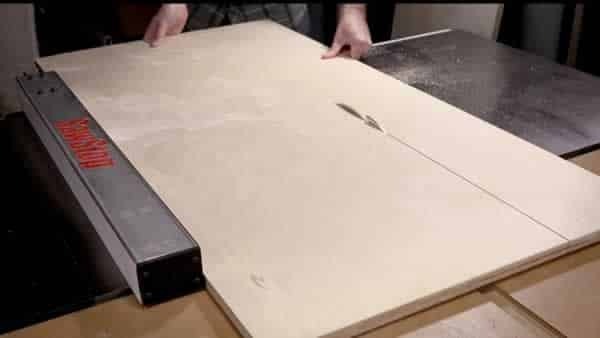 You can actually cut even large sheets of plywood with just a hand saw. We got great results with this Stanley 12 PPI Panel Saw. The cuts are absolutely perfect and you don’t have to buy expensive power tools to achieve perfect results. For longer cuts we advise you to make temporary rails because it is very hard to make straight long cuts with a hand saw. When you cut plywood with hand saw don’t rush and take your time. Small and slow paced cuts are the best way to cut plywood without tear out. If you are new to woodworking and you aren’t familiar with different types of saws then you should check out our What saw to use tutorial. I have been making bespoke furniture for many years and normally in veneered ply or manufactured board. Mainly for stability in particular environments. To use power tools for cutting would inveriably ruin the cut and often with handsaws. However, I found the perfect solution many years ago. I bought from Axminster a plunge circular saw originally intended for cutting polymer sheet. 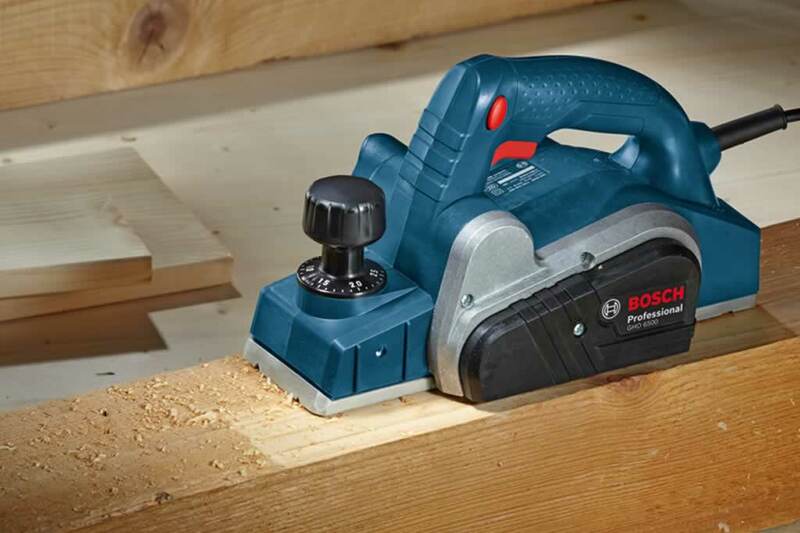 Looks similar to a small router but has a very fine 2” blade and is graduated for depth of cut although will only cut to a max depth of about 1”. Using a long guide rail made from a piece of extruded aluminium produces a almost perfect cut everytime. Where I need to fit the finished piece at the clients premises, scribing into an alcove, I use a rather bueatiful, very fine, 6” Japanese pull saw. Using both tools over many years have proved their worth. Time isn’t wasted tapeing up or having to make good with sandpaper or plane. As for the plunge saw, I can’t remember the manufacturer, all printing on the tool has long been worn away, but I am sure there are similar devices available. A very thin blade, small teeth with no rake to the cutting edge are paramount, and of course slow cutting speed. I hope this helps. An important additional point – make the cut slowly, cutting speed has a significant effect on tear out. There are also table saws that have an additional small blade which scores the underside of the plywood ahead of the main blade. These give perfect results. 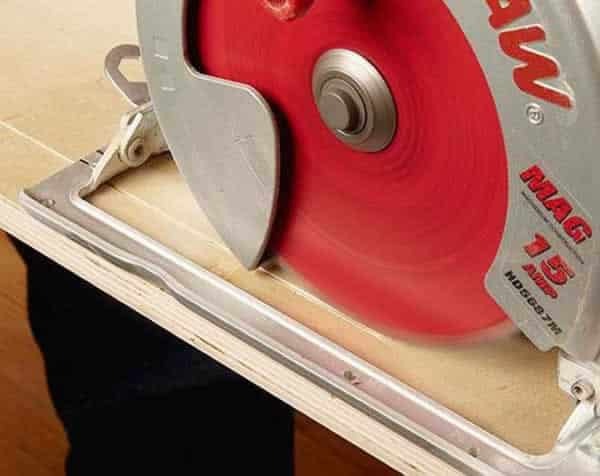 Great advice on cutting plywood by scoring the first cut……..nice tip. Thanks. you can also use masking tape over the cut line to help keep the wood from tearing out as you cut, when you remove the tape tear it to the cut and not away at a 45 dgr angle this should keep you from tearing off the fibers on the edge. One you cut it ease the edge with a sanding block but only slightly 1 pass with 150 or 200 grit and light pressure should do it.